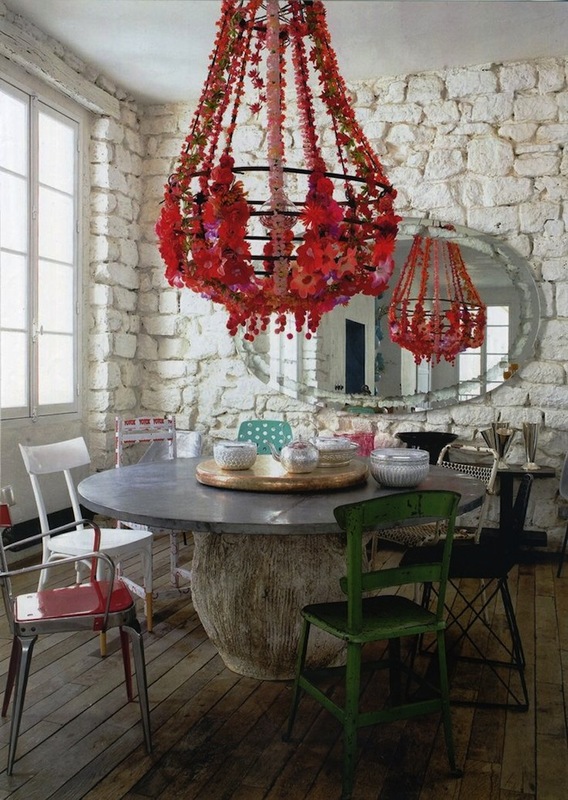 This thoroughly appealing eclectic dining room features a round zinc-topped cement table with mismatched chairs along with a fanciful brilliantly colored light fixture. 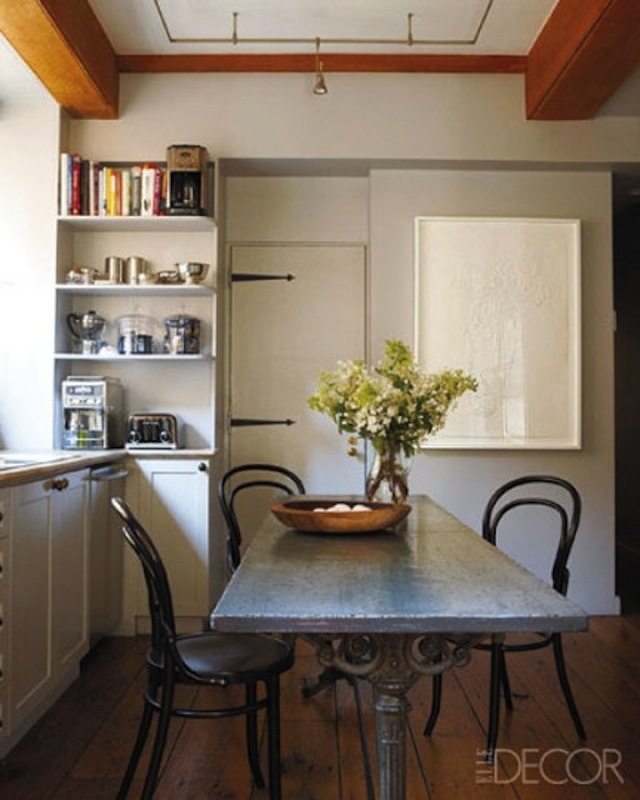 A zinc-topped simple wood table is just right for a white eat-in kitchen. 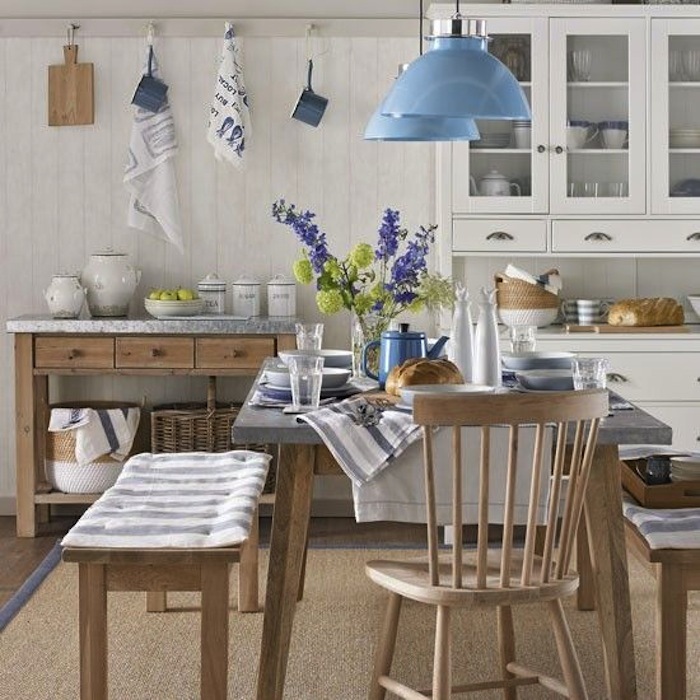 Zinc is beautiful with cozy touches of blue. 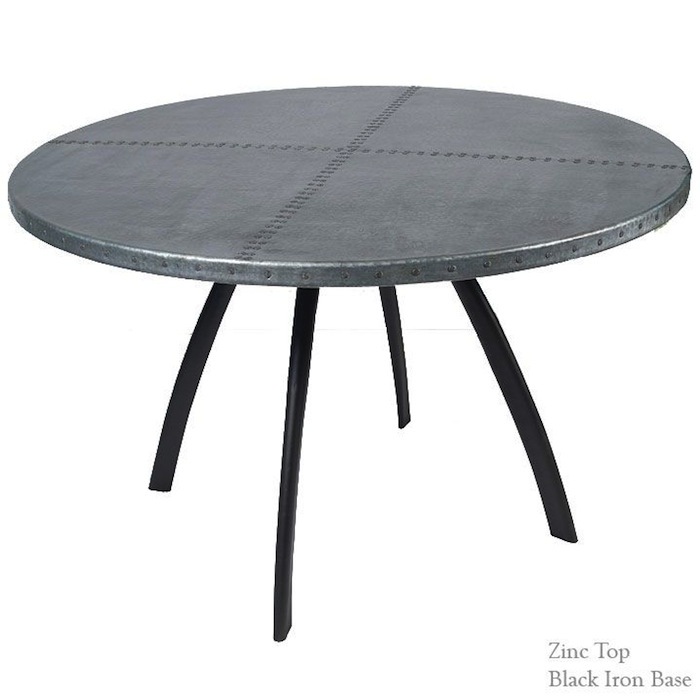 A zinc top and antique wrought iron base pair well to create a beautiful and interesting table. 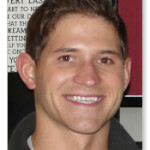 Charming don’t you think? 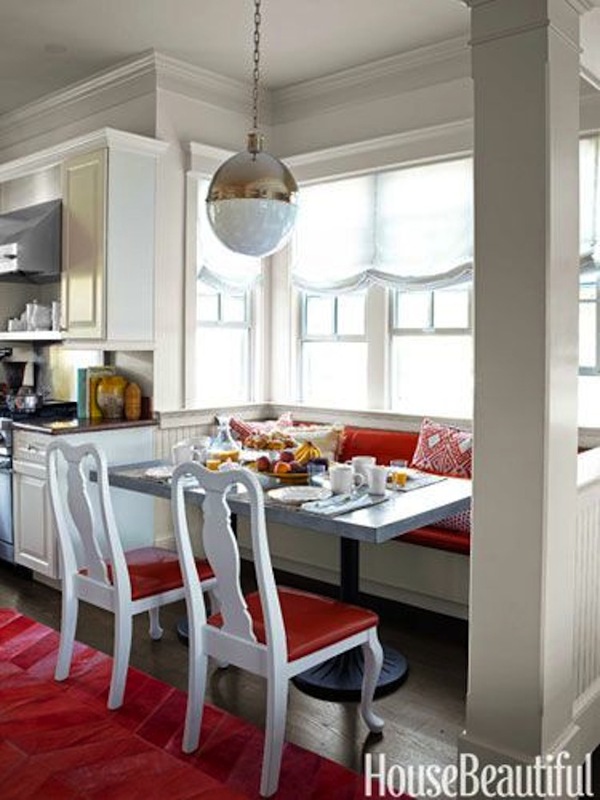 A pair of zinc-topped square tables with iron bases are captivating in a cozy breakfast nook. Zinc and red make for a great color combination. 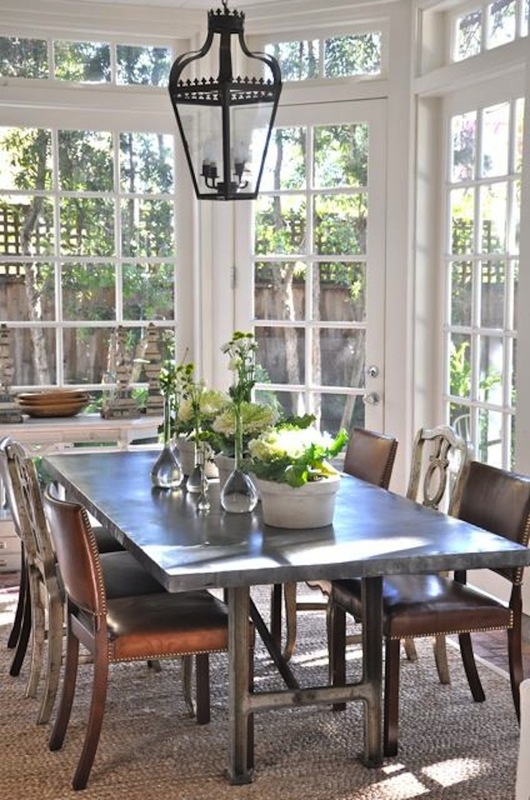 A zinc top looks charming on this distressed white painted table. 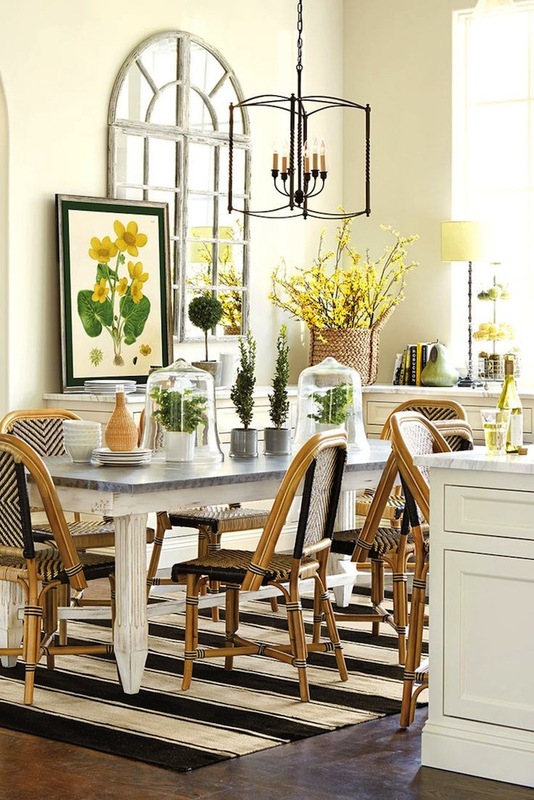 French look bistro chairs and iron caged pendant add to the appealing look. A zinc replacement top looks stunning with French metal dining chairs–whether they’re Tolix or of a more affordable design. 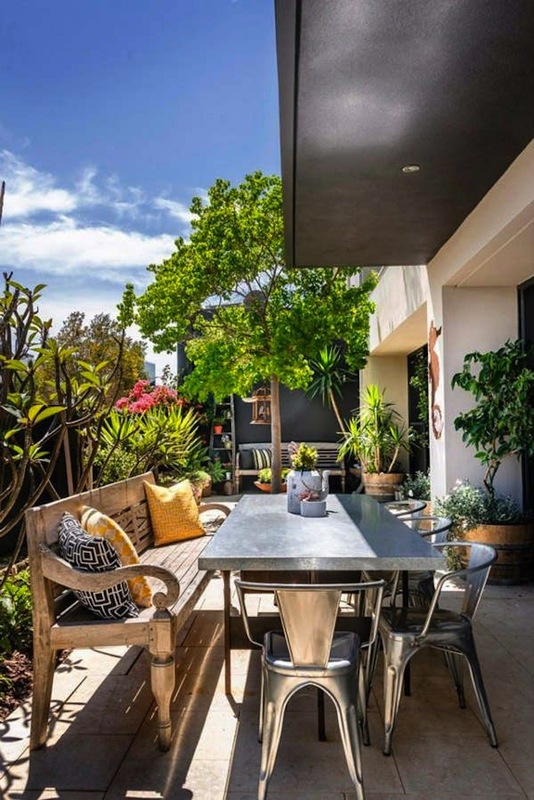 Here’s one of our zinc table tops paired with a contemporary iron base. You can check out our zinc, marble and copper table tops here. Image Sources: BrookeGiannetti.typepad.com; CarlaAston.com; HouseToHome.co.uk; TheKitchn.com; TheEnchantedHome.com; DustJacet-Attic.com; EmilyAClark.com; HouseBeautiful.com; HowToDecorate.com.